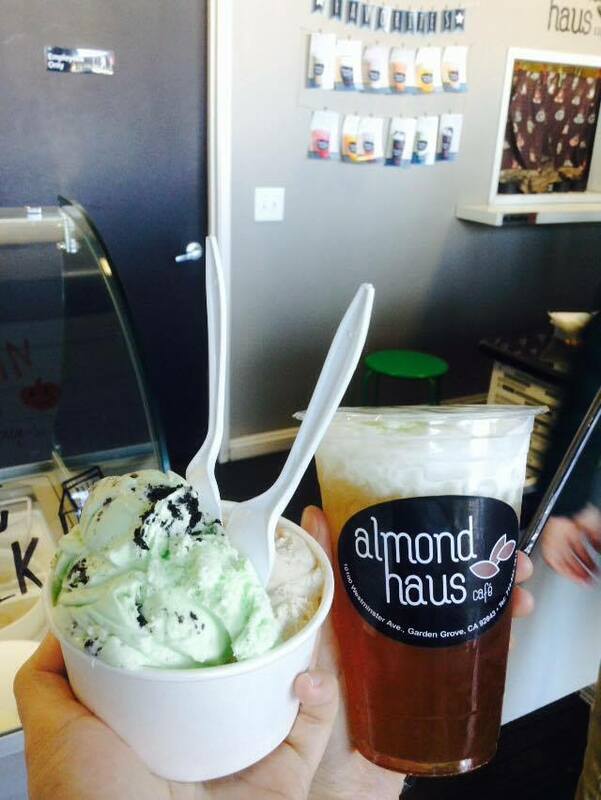 NEW ALMOND HAUS OPENING THIS 2016 WILL OFFER FINGER FOOD SNACKS AND MORE - GARDEN GROVE - EAT WITH HOP! 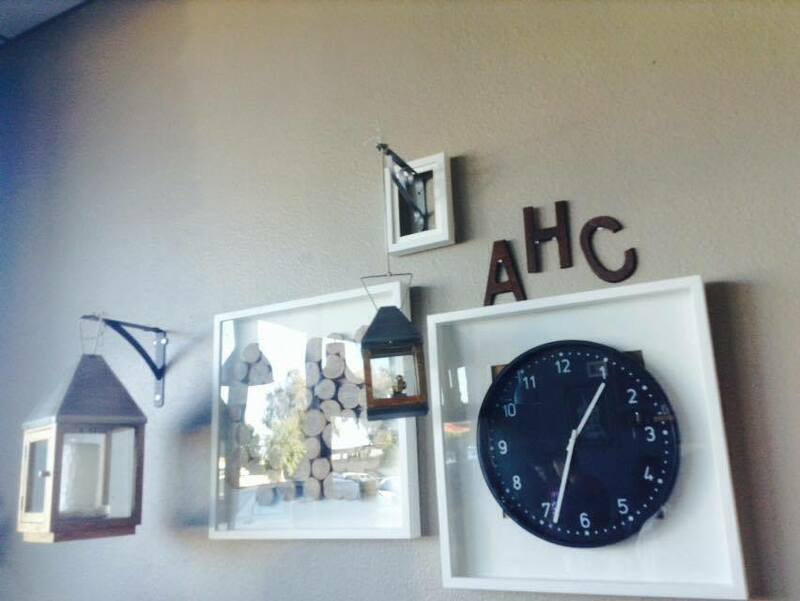 ALMOND HAUS WILL BE OPENING UP A NEW LOCATION IN GARDEN GROVE THIS UPCOMING WEEK ON JANUARY 28TH! One day Kevin and I were deciding where to go. 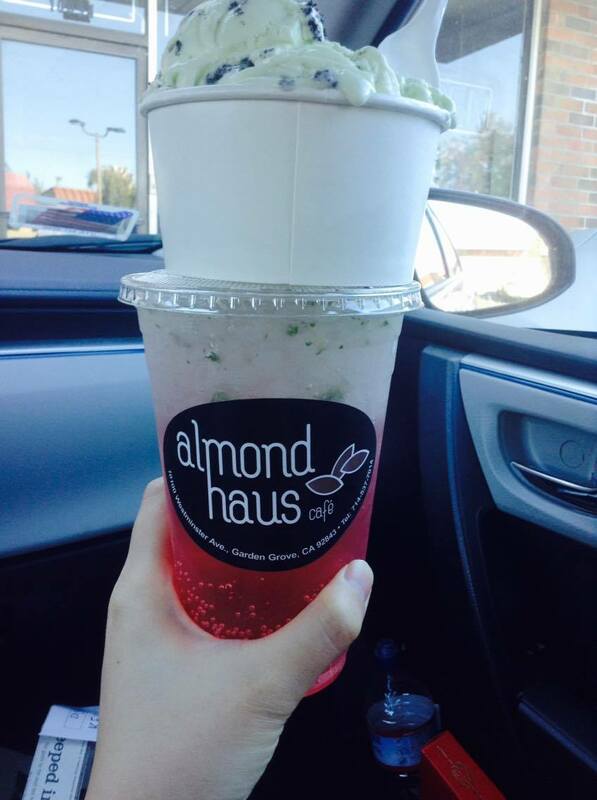 I have only tried Almond Haus once or twice a few years ago so we went to try it out again. WE WERE NOT DISAPPOINTED! Since when did they start selling ice cream?! Well I'm glad they started because it's so damn good and worth the price. This is the Mint Cookies and Cream flavor and Almond Milk Tea flavor. WHAAAT!? All my faves in one! Yes. I totally recommend all their flavors. IT'S JUST TOO GOOD! 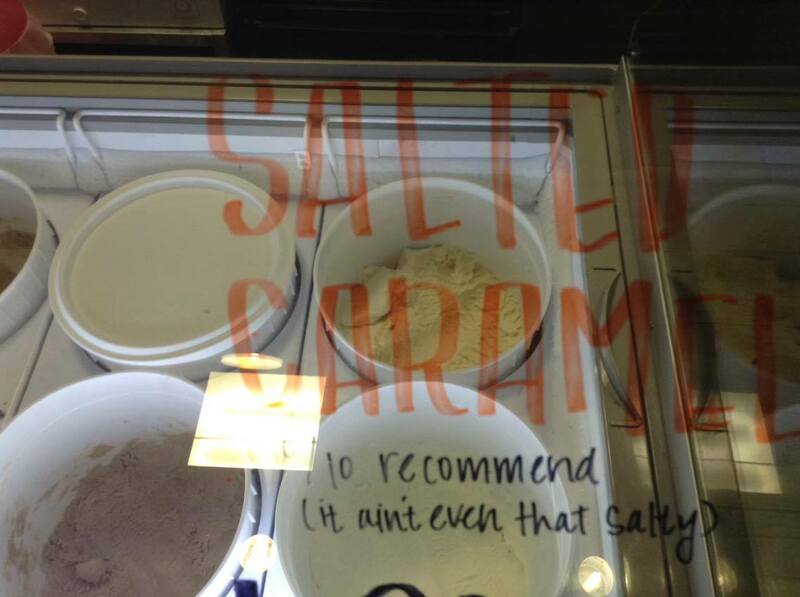 Almond Haus apparently 10/10 recommends their Salted Caramel though. 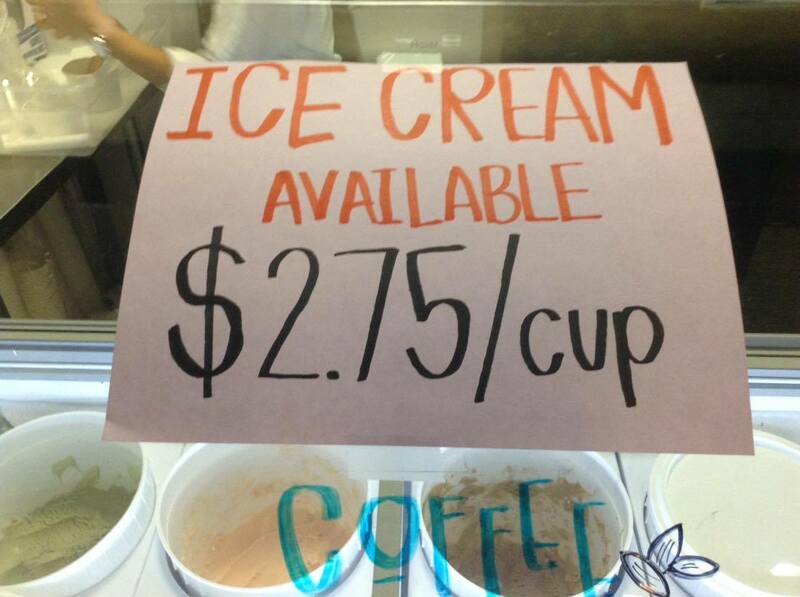 Last summer (2015) it was only $2 for a huge whopping scoop and up to 2 flavors. When I went a few weeks ago it went up to $2.50. Now with the minimum wages rising it's $2.75 but honestly it's so worth it.You get a gigantic scoop in a hefty cup for less than $3. I don't think anyone's complaining here. 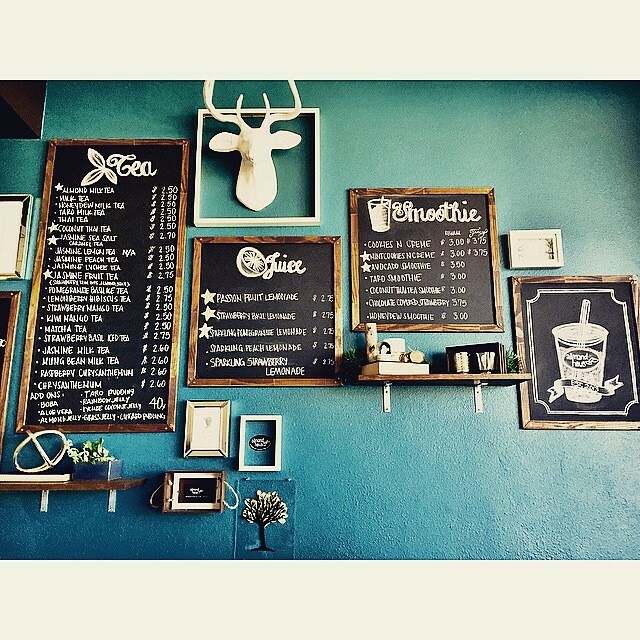 If you've never been here before, of course you gotta try their Almond Milk Tea at an Almond Haus! In the above photo, the drink on the right is the new seasonal Wintermelon Sea Salt Green Tea. Absolutely perfection. You know how some people take those donut on top of a coffee drink photo? Well I decided to up that game by putting a cup of ice cream on my boba drink instead. AND ALSO, LOOK HOW HUGE THE CUP IS FOR JUST LESS THAN $3!! 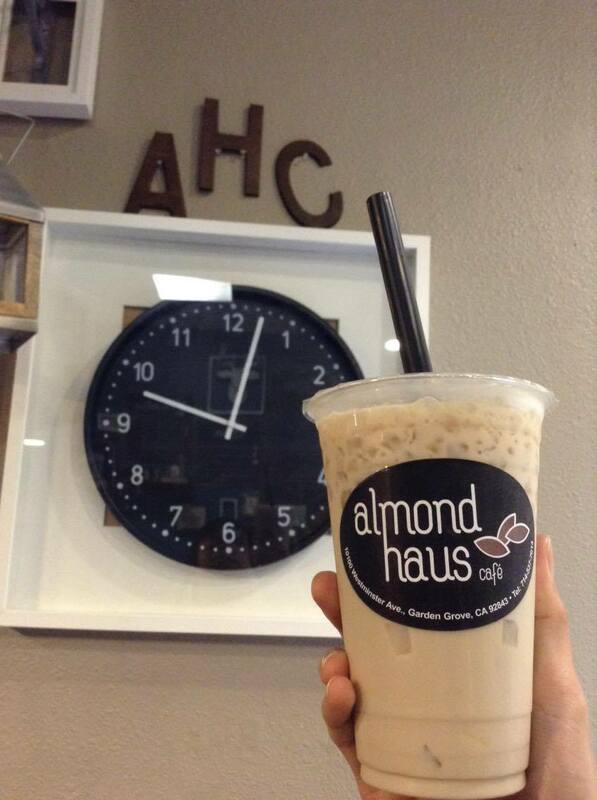 So Almond Haus did not mention much on their Instagram (@AlmondHaus) about their Grand Opening yet. They only mentioned a sort of vague location and vague time period of when they will open. Luckily, if you were to ask their workers at their Little Saigon location, they will answer all y'all questions. Okay, I actually didn't ask much but got enough answers to give y'all the inside scoop! According to their Instagram, Almond Haus will be opening their location at the European American Plaza next to the Great Wolf Lodge (new waterpark hotel in Garden Grove) which is on Harbor Street in Garden Grove. **note: I tried googling "European American Plaza" and cannot find much on the map. Where the heck is this plaza?! Is it the one with Genie Den adjacent to the hotel? 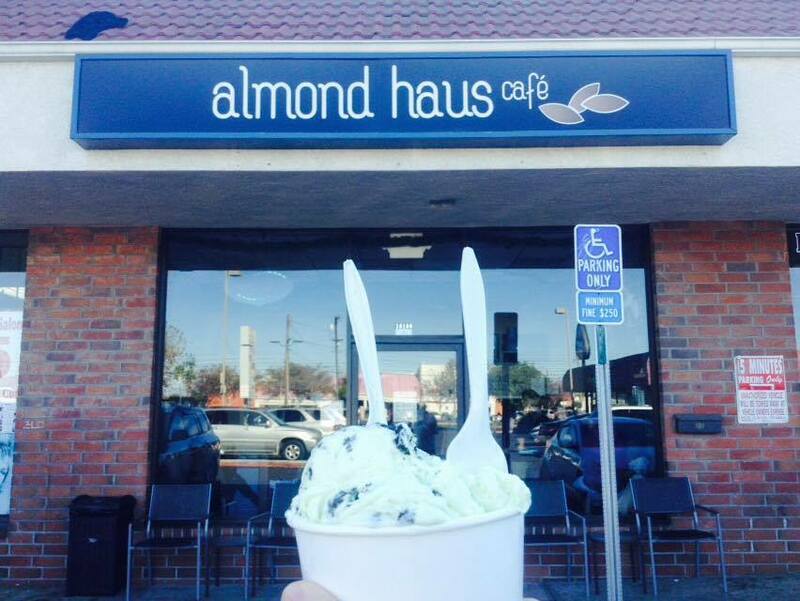 Another source tells me Almond Haus will be opening either next to or near Joe's Italian Ice (but that is in Anaheim). Either way, it's somewhere in this area! They did not announce any official date. Their Instagram says that the store will open around the start of February. However, an inside source tells me the store will be opening on January 28th(DATE TBA). 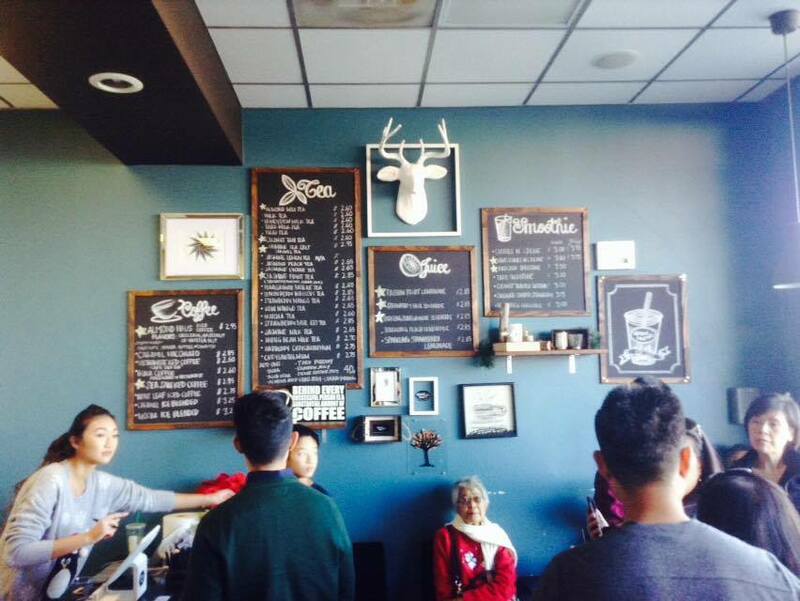 It could be the soft opening and not officially the grand opening date but I'll let y'all know any updates ^__^! This location will have an even wider menu that includes food. Yes! They will be serving the typical boba shop finger food such as popcorn chicken and fries and other things that hasn't been known to the public (or me) yet. I'm excited! 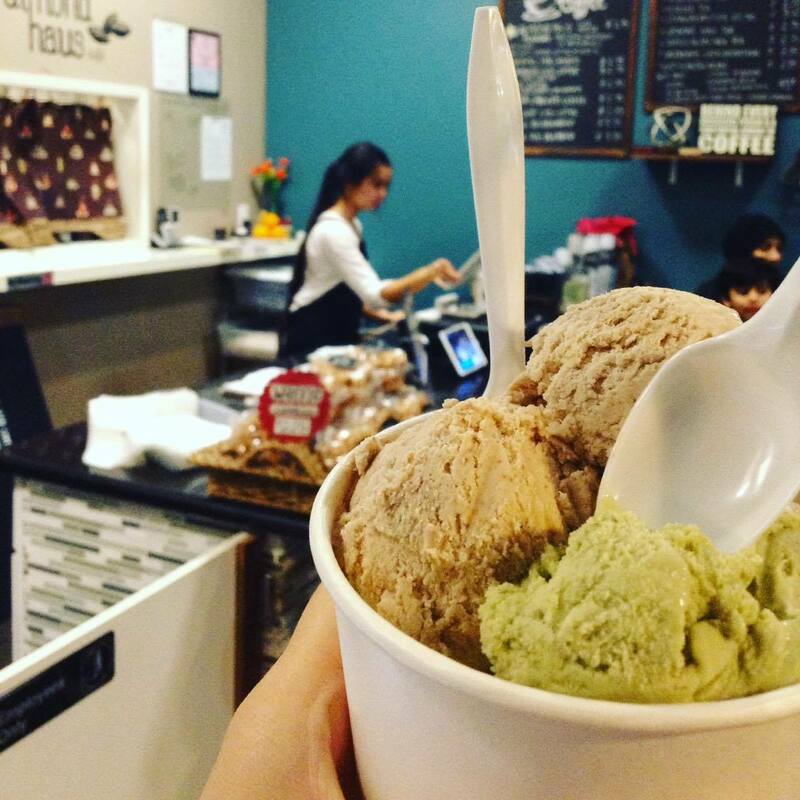 In addition to their food, did you know they make their ice cream in-house? I had no idea they sell ice cream but I also had no idea it was so freakin` good! Wow! I am practically in love with their Kit Kat ice cream. 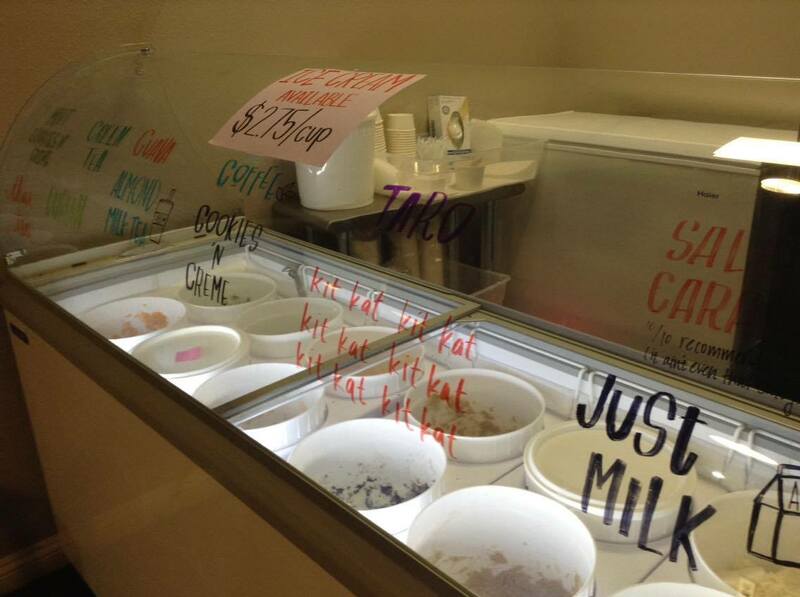 They have other delicious flavors such as Taro, Thai Tea, Durian (a best seller! 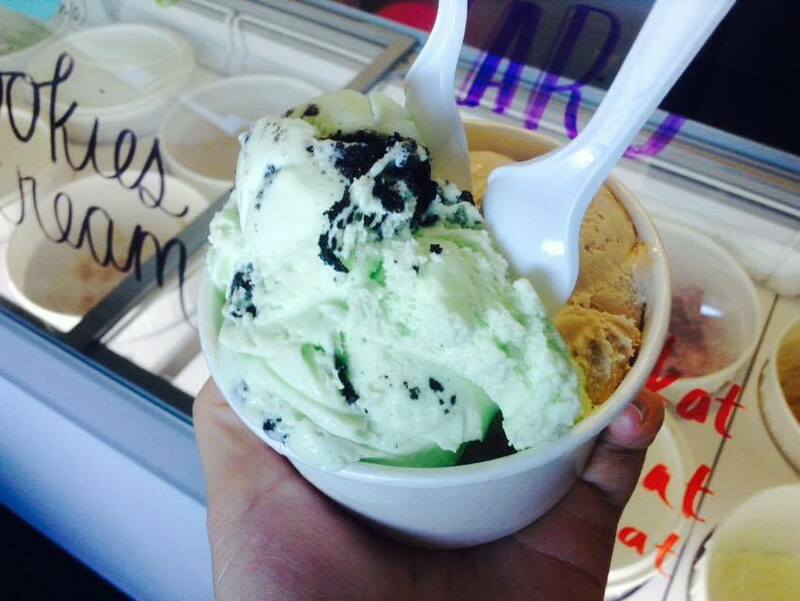 ), Green Tea, Salted Caramel, Just Milk, Mint Cookies & Cream and so much more. All for only $2.75 a scoop which includes up to 2 flavors. All of the flavors ARE VERY ACCURATE to their names! so unique! Where else can you get this in Orange County? a best seller! I can't eat the actual fruit but I'm all for the ice cream! wintermelon tea is so good and the saltiness from the cream mixed in tastes unique! I like their Oreo smoothie! **It's in the European American Plaza next to this hotel. I honestly have no idea which plaza but let's use this for reference for now.